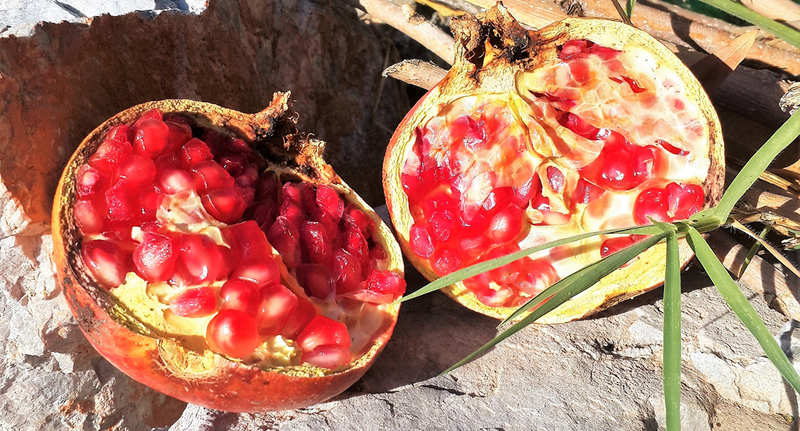 This month the pomegranate is available again in abundance here on the Turkish Mediterranean. This red fruit is called ‘nar’ in Turkish and can be recognised from the six leafed crown at its base. 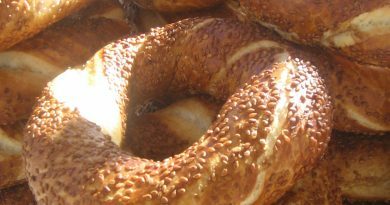 On the inside it has hundreds of red, jelly-like seeds which taste lovely and are super healthy. 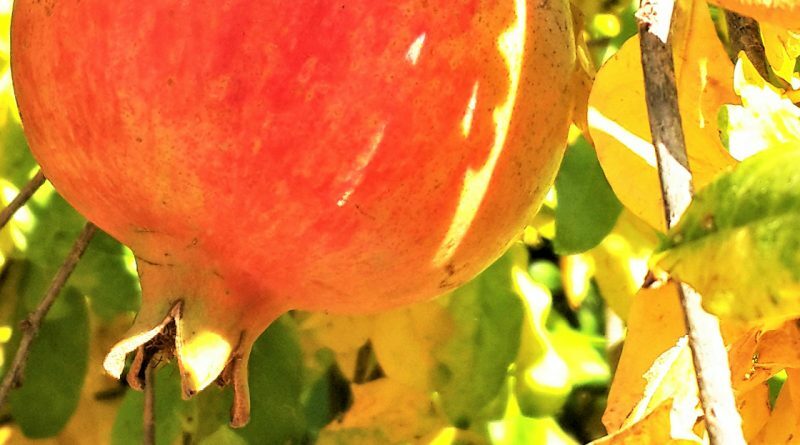 But did you also know these 9 things about the pomegranate? 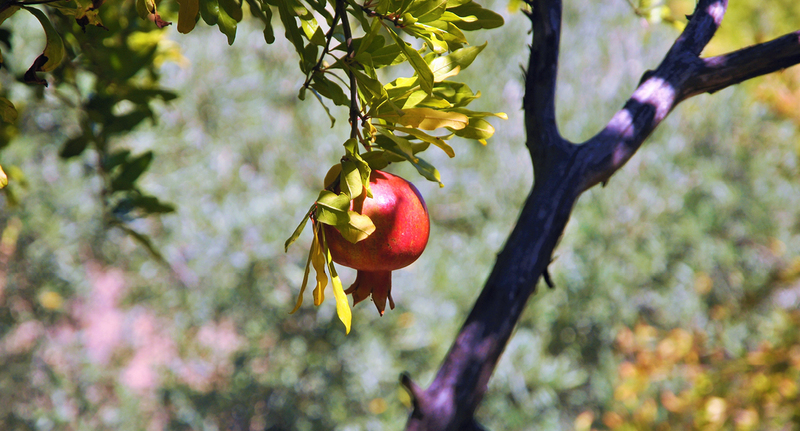 The pomegranate originated from Persia and spread to the Mediterranean from there. It grows on a bush which can grow up to five metres high. Because of its special centre (the multitude of little seeds), the pomegranate is a symbol for abundance, fertility and immortality. In ancient Egypt, the pomegranate was considered a kind of elixir of life. They buried their dead people with the fruit, hoping it would enhance their rebirth. Story goes that Berber women used the pomegranate to predict the number of offspring. They drew a circle on the ground and smashed a pomegranate into it. The number of seeds that sprung from it would equal the number of future children. The pomegranate has always been a favourite subject in literature and paintings. The pomegranate is present in poems by Chaucer, Shakespeare and Homer and it can be seen in paintings by Leonardo da Vinci (The Dreyfus Madonna, 1469), Dante Gabriel Rosetti (Proserpine / Persephone, 1874) and Salvador Dalì (Dream caused by a flight of a bumblebee around a Pomegranate, 1944). 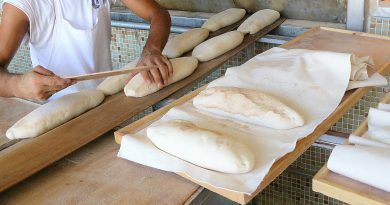 The holiday resort Side – situated beteween Alanya and Antalya – also has a connection with the pomegranate. It is said that in ancient Anatolian language, the name Side means pomegranate. 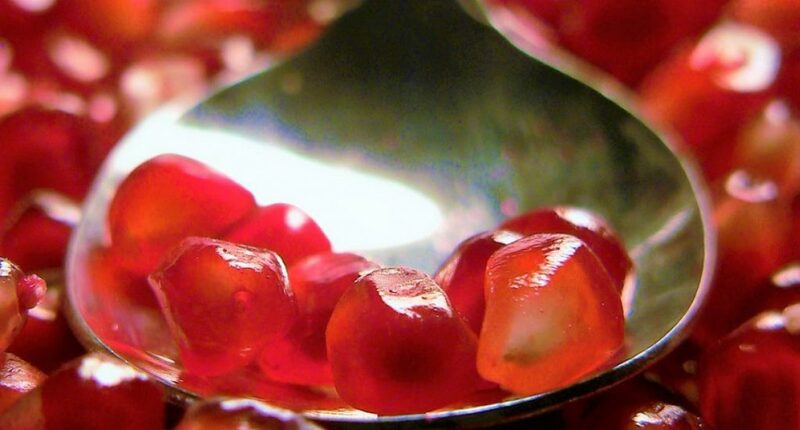 Till the 5th century the currency of the city were embalmed with a pomegranate. 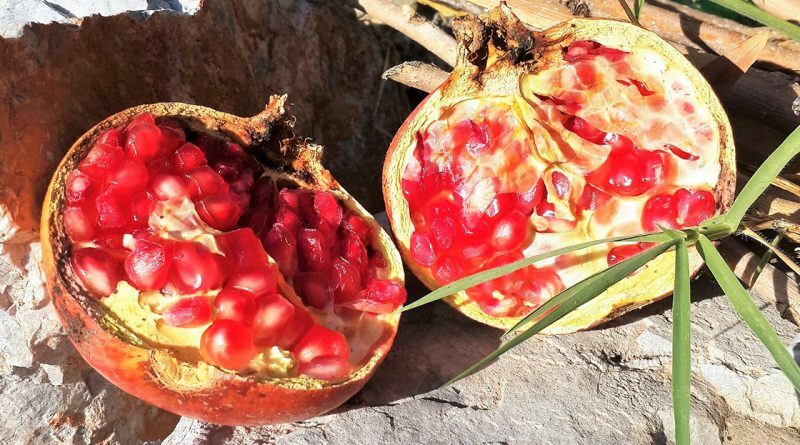 The French named their invention, the grenade, after this fruit – again because a handgrenade explodes like the way the seeds will spring out of ripe pomegranate if you throw it to the ground. 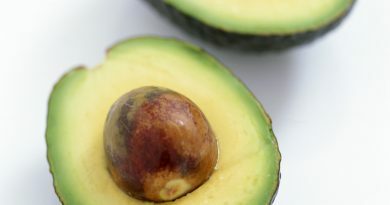 The Spanish city of Granada was also named after this fruit. 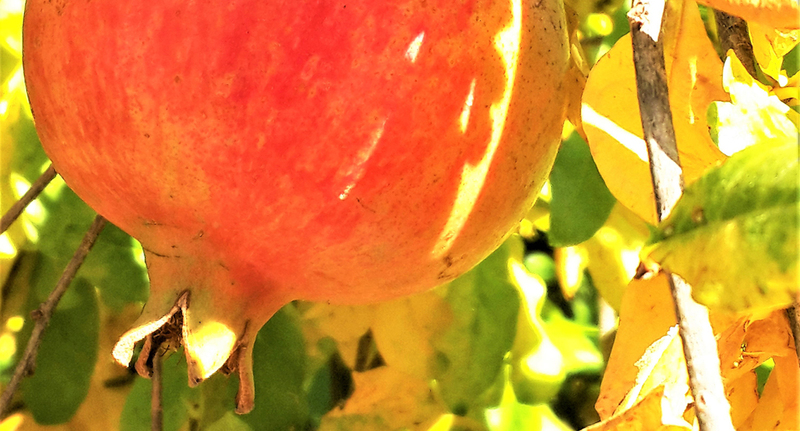 We can conclude that the pomegranate is a multifaceted and much talked-of fruit. But above all, it is delicious!